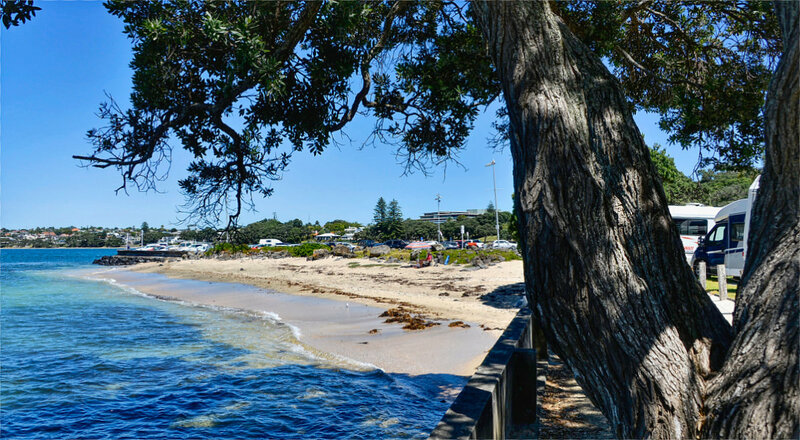 We’re in our 4 th day of sitting on the waters edge at Takapuna Beach Holiday Park after moving from our house and its just the best location. Fiona works in Takapuna 3 days a week so can walk to work from here which is great. When you take into account the costs of owning a house with rates, Insurance and Maintenance and everything else, doing this for 3 – 4 days a week is pretty cost efficient. Its also handy to the Devonport market while we look for another house. 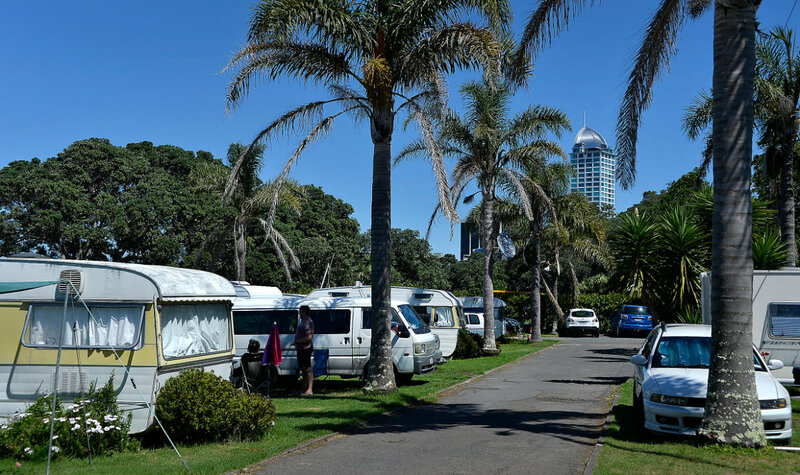 Takapuna Holiday Park has had some interesting moments recently. 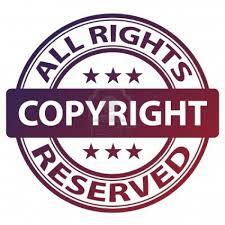 Being in a prime spot, it has been under pressure by others for its space. 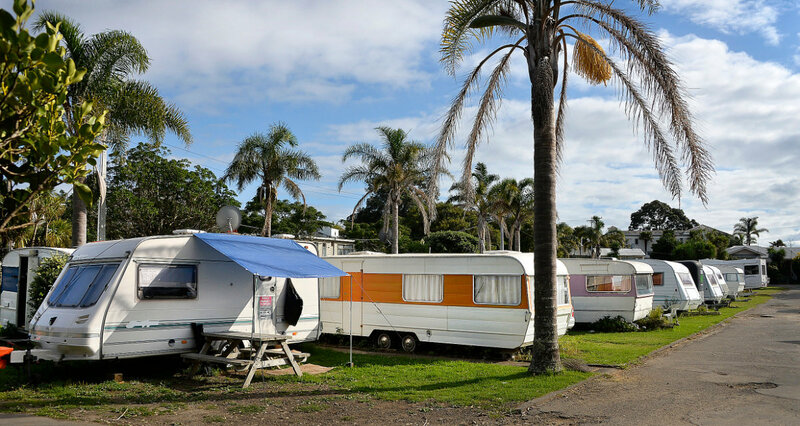 A couple of years ago, there was a bit of a stoush when the council had thoughts of giving some or all of the campground land for development of young sailors but they didn’t count on the locals wanting to keep the park as is. Its my understanding that the land occupied by the Holiday Park was gifted on the condition it was used as a Campground or similar. Anyway, despite our helicoptered in MP at the time, baracking for the Yachties, the locals won the day and the Campground stays. 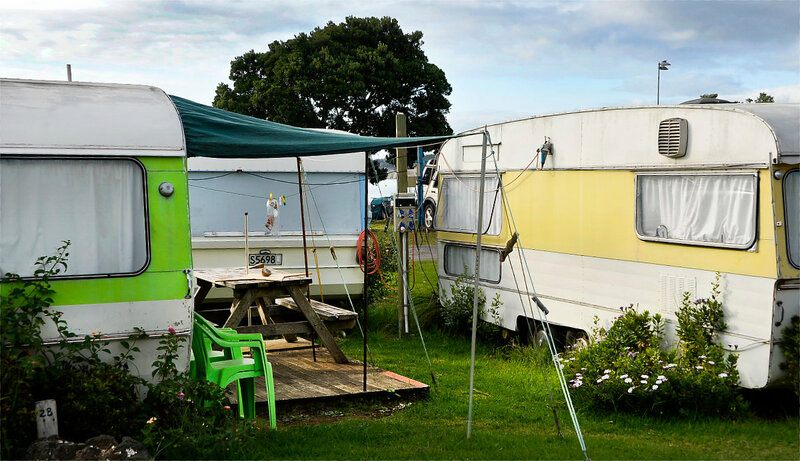 Early in April all the old Caravans are going and they’re going to be replaced with a whole lot of new Powered sites so that will make a difference and make it available to more Motorhomes and Caravanners. 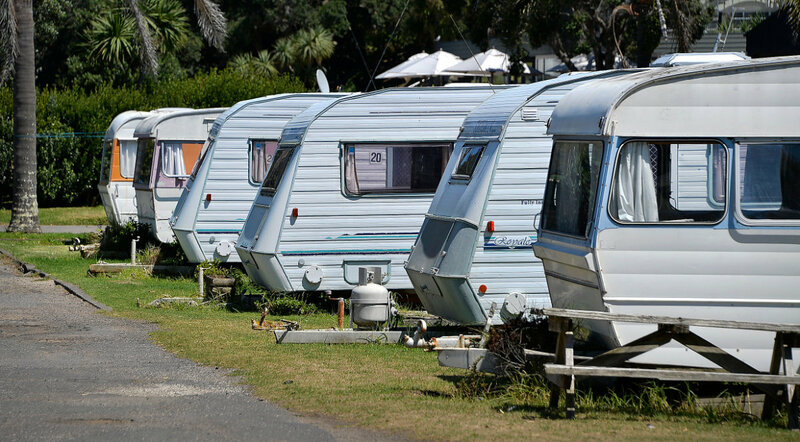 This will make a huge difference as many of the Caravans are well past their use by date and the park will do well with the extra space for powered sites. 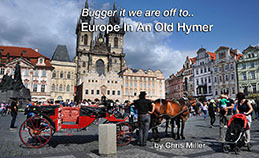 Its a lovely spot and we’ve been here a few times over the last few years and is a great bolthole. The waterfront parks are 7 metres so I have to park Rafe on an angle but the parks are wide enough to do this. Toilets and Showers, Kitchen and Laundry are all in good shape. They’re beautifully clean and everything works so you can’t ask for more than this. We’re probably going to be here three days a week for the next month or so as we’re still looking for another house and for Fiona’s work but I can’t think of a nicer place to be. 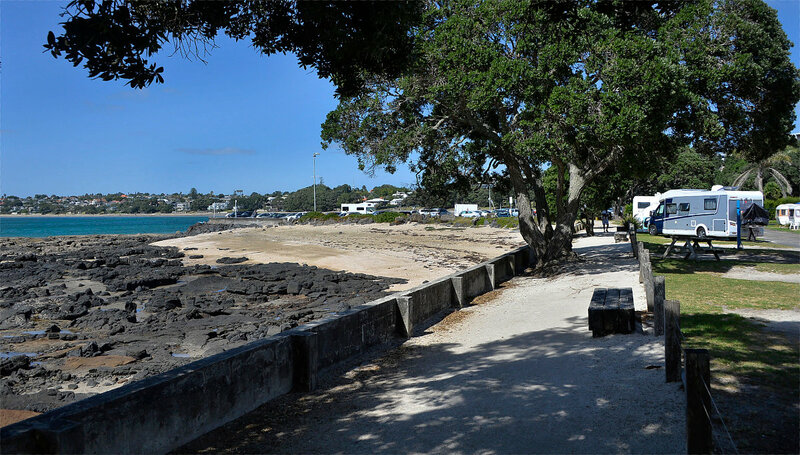 Right on the best beach in Auckland and with some great walks along the waterfont right up to Milford and beyond, and south to Narrow Neck. 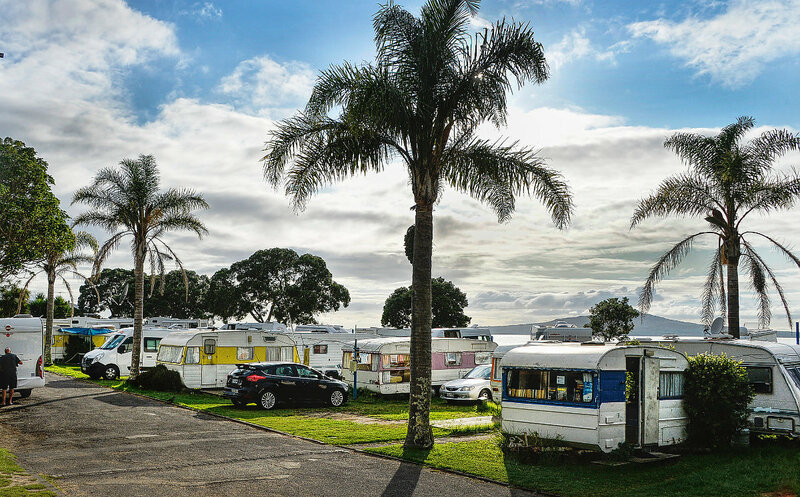 The shops are great and close by and there is a licensed Cafe just on the edge of the campground serving great Coffee overlooking the boatramp. Great entertainment at low tide !! 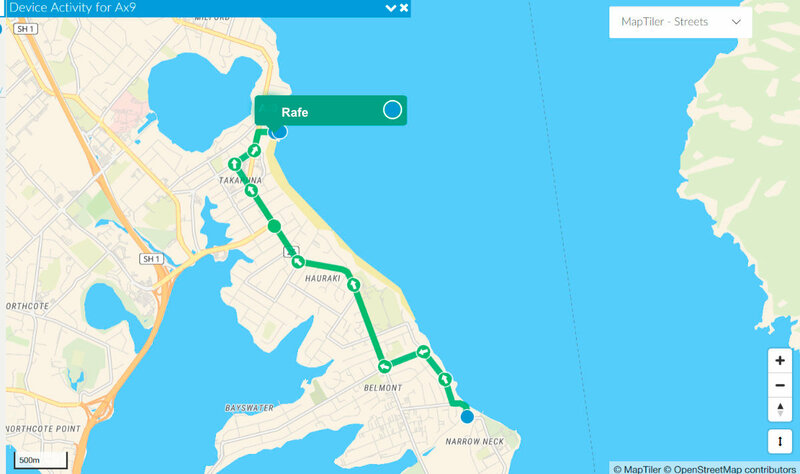 See our previous visits to Takapuna here and the walk to Milford here. Hi Chris. Has the kitchen been done up, and what about the old bathrooms. We stayed there in our 9 meter bus a few years ago while the fight was on to keep the Holiday Park, which was a long, nasty continual battle and which I supported. Jan and Gavin ran the crusade and fought very hard. Thank God the Park remains although they did lose some space. And are the same managers there (omg). I’d love to come back in the bus if it will still fit. We had a space backing in past the office, hanging over the car park. I enjoy reading your blogs. Love from Pirongia. No the kitchen is still the same but seems clean. We only use it occasionally for washing dishes. The bathrooms are tired but also very clean. 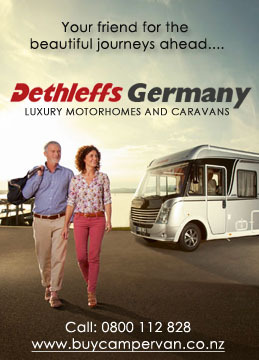 I’m sure your bus would still fit as they’re just getting rid of all the caravans. .. more powered sites!